If you've ever been to Lisbon or even know someone who has, then you likely know that the food scene there is to die for. Fresh seafood, Portuguese food, great local wine, and more! Side note: there are a ton of cafes that are also drool-worthy and with great coffee. You can find those here: Where to Eat in Lisbon. This post is reserved for the coffee shops/cafes with coffee as a main focus (instead of food). Also, subscribe below to get our free downloadable guide and we’ll also send you some step-by-step help to plan the Lisbon trip of your dreams! Hello, Kristof is a Lisbon-based specialty cafe and coffee shop filled with independent magazines. It is a beautiful space to enjoy a cup of coffee while doing some reading or even working since they offer free wifi! In addition to the coffee selection there are also some light bites, such as avocado toast and pastries. 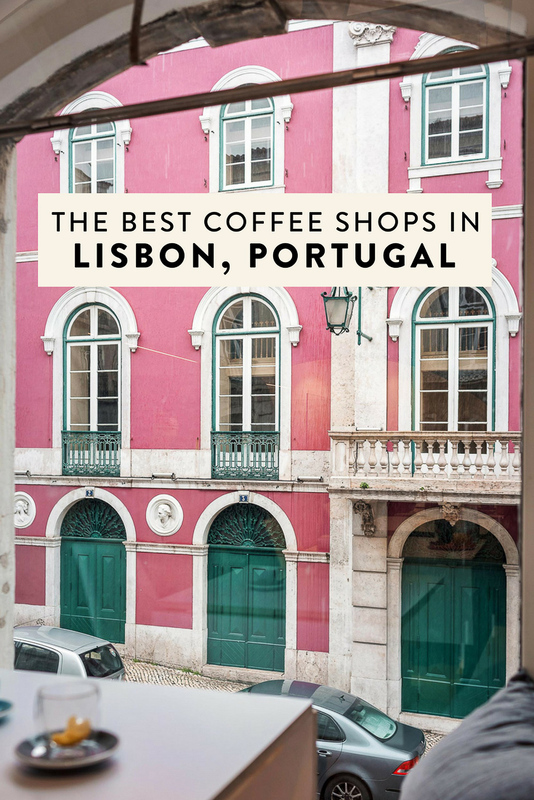 Some of the best breakfast Lisbon and the best coffee in Lisbon! The coffee is divine since it is extremely fresh - served only a few days after roasting. It's even pup friendly, which was great because it meant Momo got to come along. It’s one of the best places to visit in Lisbon — do not miss it. 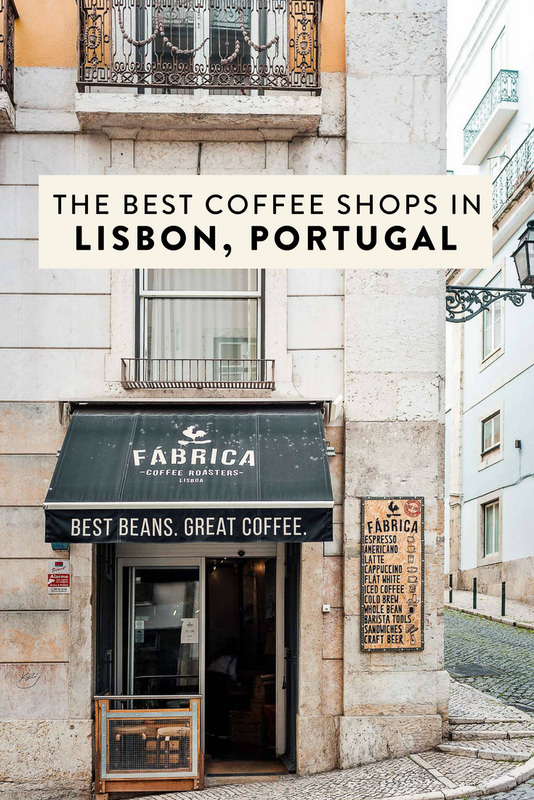 Fabrica Coffee Roasters is a cafe Lisbon located on one of my favorite streets in Lisbon, Rua das Flores! They are not messing around about their coffee, stating "we carefully roast our beans according to their characteristics and purpose – light roast for filter coffee or a slightly darker roast for espresso, and so ensuring the extraordinary results we always aim to achieve." They buy straight from the farmers in popular coffee countries like Brazil, Colombia, Ethiopia, Kenya, and Guatemala. They too offer light bites like sandwiches and pastries. No wifi, though, so don't plan on that! But the space is quite big so if you have non-wifi work to do (or a hotspot), this is a great choice. 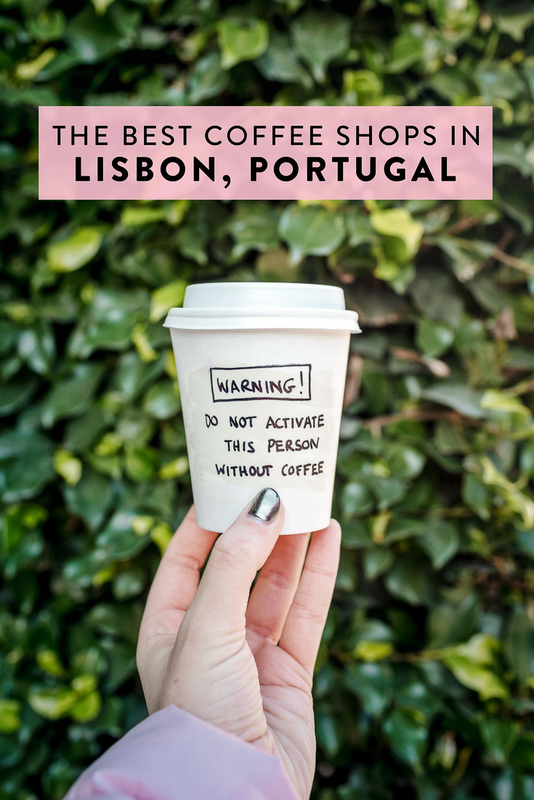 Or you could do as they say and simply enjoy the company of whoever you are with, sans internet :) It is one of the best cafe Lisbon, for sure! 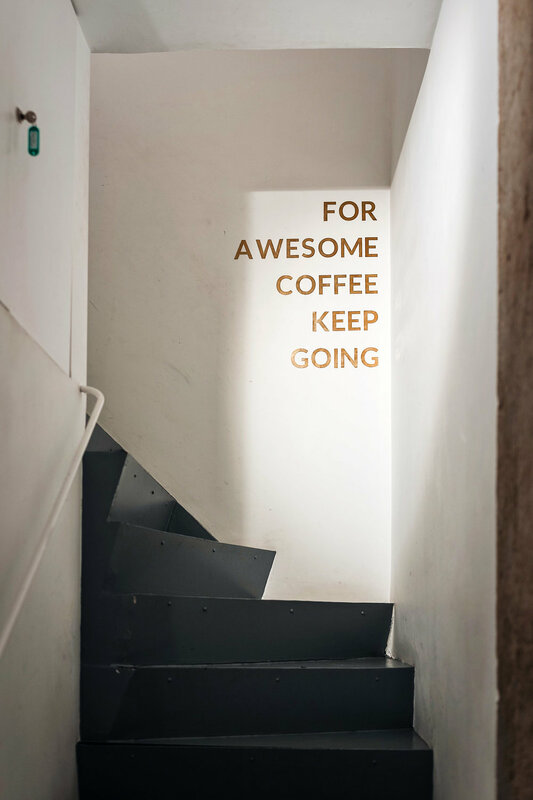 Wish Slow Coffee House is such a fun spot for coffee Lisbon and more! They have two locations; one in Chiado and the other in LX Factory. In addition to serving speciality coffee, they also offer breakfast and have the cutest store attached. It is filled with adorable gifts and things like stationary, cards, posters, bags (I bought the "let's go traveling" one), and more. It is really fun to look around and is especially great if you need to pick up a present for someone. And, in case that is not enough, their to-go cups are so cute that I was literally DMing with them on Instagram trying to convince them to start selling them. They say cheeky things like "what if I don't want to keep calm", "do not activate this person without coffee", and, my personal favorite, "nothing like ice coffee on a hot day... or a warm day... or a mild day... or a cold day...". Please sell them or turn them into mugs, guys! Copenhagen Coffee Lab Lisbon is, you guessed it, a Copenhagen-based coffee shop and cafe! They "strive to discover the finest coffees from around the world, and develop perfect roast profiles for each coffee origin to bring out unique and intricate nuances". The verdict? It's pretty good - both the coffee and the ambiance. There is a lot of space and it seems a tiny bit less popular than the others so it's a great place to go if you need to get some work done, too. It would be a tragedy for you to visit Portugal without trying a pastel de nata and Manteigaria is the place to do it! For those not familiar, pastel de nata is a Portuguese egg tart pastry and is very popular (you will see them everywhere). I have to admit, I was a bit hesitant about trying Manteigaria because it is located in a pretty tourist area and almost always had at least a handful of people in line waiting. Those two things combined led to believe it would be a tourist trap. Then while doing research I read that a famous local chef recommends it as the best, and later not one but two local gals told me it is the place to go! I, of course, did not need any more convincing than that. 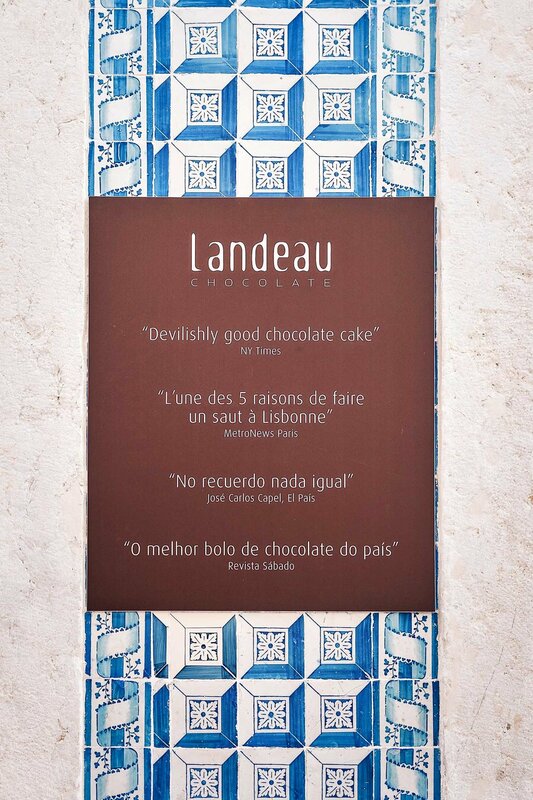 Landeau Chocolate offers two things and two things only - chocolate cake and coffee. As you can see above, it comes with rave reviews from some widely respected sources, so I decided to take one for the team and test it out. My own review: it was delicious and makes for the perfect mid-afternoon treat!